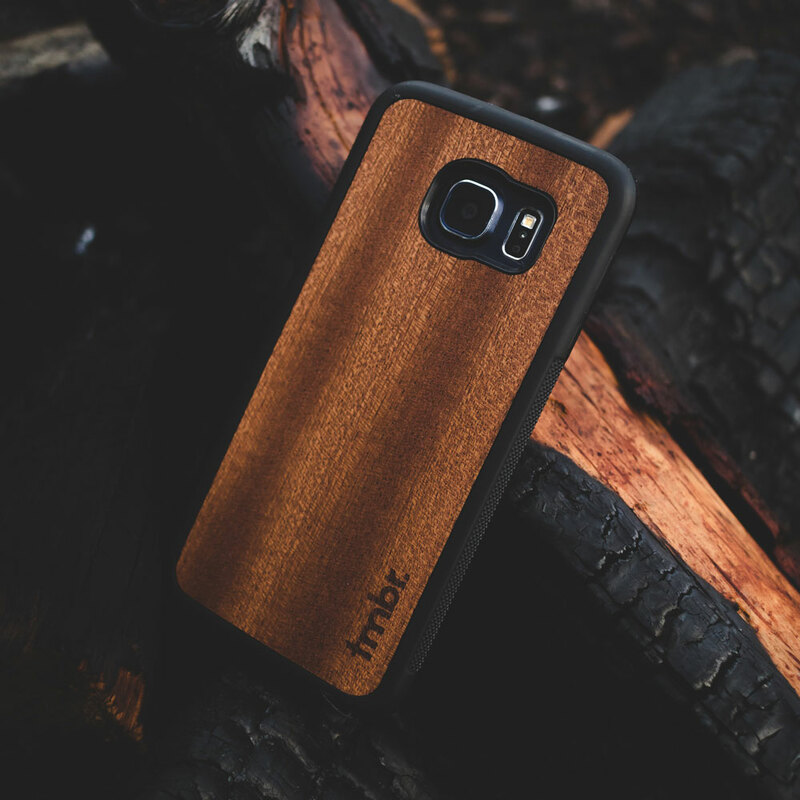 Wanut Wood Samsung Galaxy S6 Case - Lion | Tmbr. 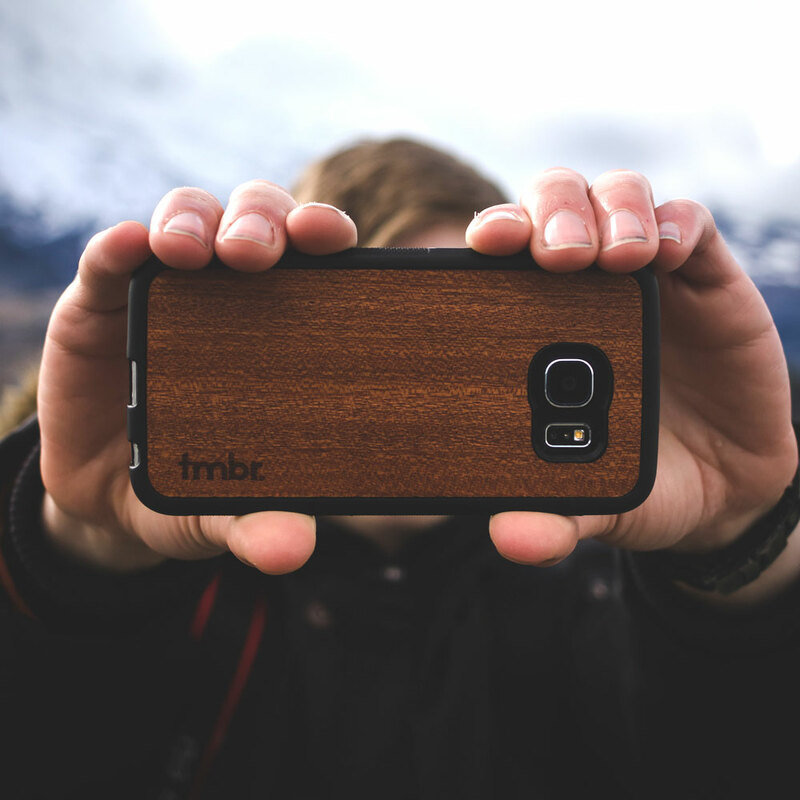 Tmbr offers a 6-month manufacturing warranty on all phone cases, from the date of purchase, on any defects caused by our manufacturing process. To submit a warranty claim, email hello@tmbrs.com with your order number in the subject line (phone case must have been purchased from our online store) and photos of the issue with the phone case. The warranty does NOT cover normal wear and tear, stolen, lost, dropped, or broken from any other misuse from the user. Tmbr is NOT liable for any other damages that their phone cases or any other products offered on Tmbrs.com may cause from using the product. Tmbr has full discretion as to what may or may not qualify as a manufacture defect. **Customized cases (Monogram Cases & Custom Cases) cannot be returned. We want you to love every Tmbr. purchase. That’s why we’ve made returns so easy! Fill out the form HERE and we will help process your return quick and easy! The tmbr. 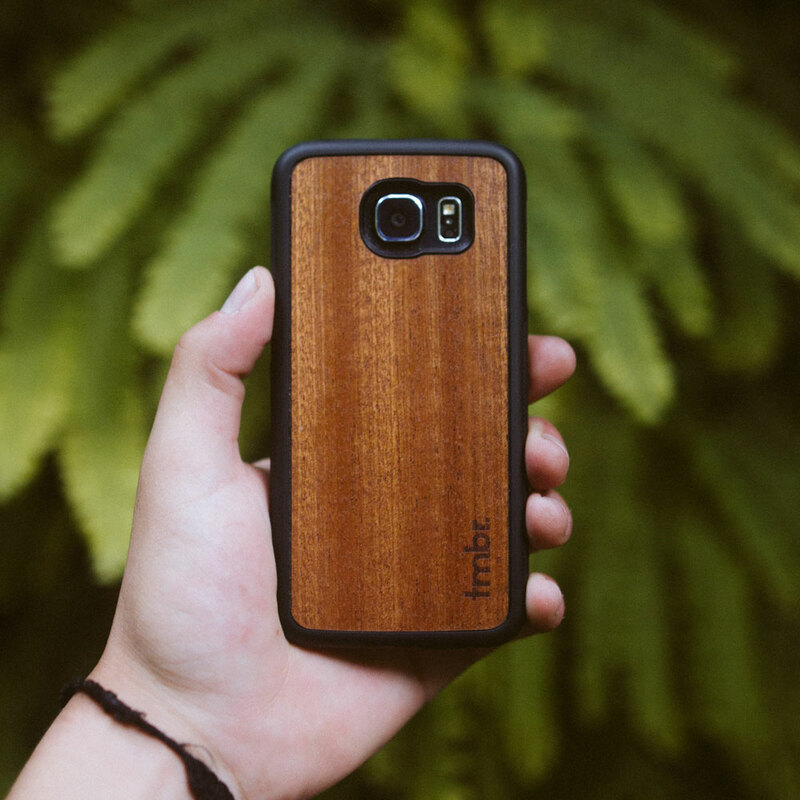 Walnut Wood Samsung Galaxy case has a full rubber bumper around the case, lightweight, thin, and covers the front of the phone with a small overhang to help protect your screen. The tmbr. 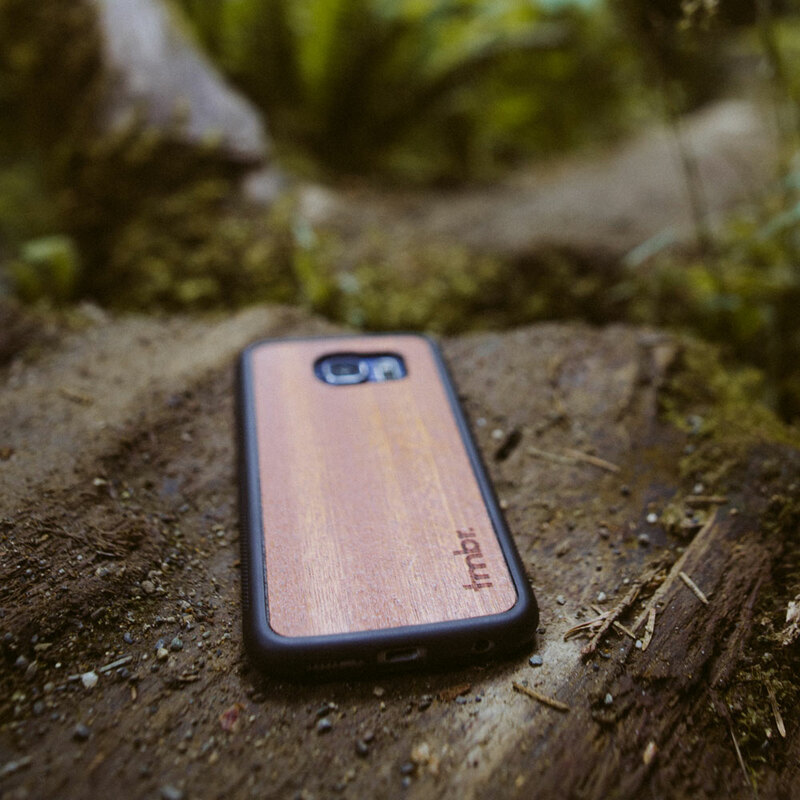 Galaxy case offers a durable protection with a thin veneer layer of walnut wood on the back of the case to give you that unique look and feel that we believe every case should have.